Southwest Ranches Florida is a small town in southwestern Broward County, situated right on the Everglades, about 15 miles southwest of Fort Lauderdale. Incorporated in 2000 to preserve its small-town-like lifestyle, Southwest Ranches became its very own independent municipality, and did not succumb to annexation by Pembroke Pines as it was about to be. The lifestyle quality is truly what matters in Southwest Ranches Florida, and the town has set aside quite a few miles of green spaces for equestrian and recreational use. Southwest Ranches may be a self-proclaimed rural community, but this Broward County town still boasts all of the necessary amenities, along with plenty of great dining, shopping, and community activities. 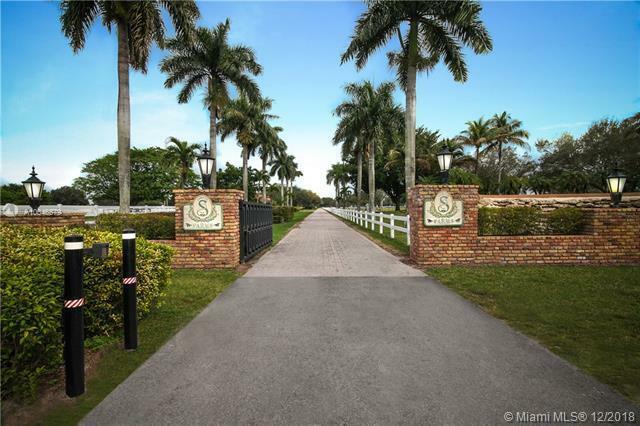 A true gem for equestrian and country living, Southwest Ranches is a town that breathes some small town life back into the hustle and bustle of urban Broward County, and is a superb sanctuary for residents and visitors alike. Below is a list of homes availabel for sale in Southwest Ranches. Click on any of the listings to view a full listing of that home.